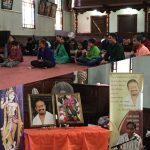 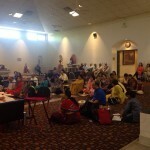 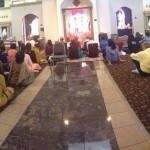 Satsangs were organized over the weekend of April 16th and 17th, 2016 in Birmingham, AL, at the Birmingham Hindu Temple and Cultural Center. 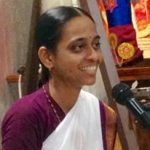 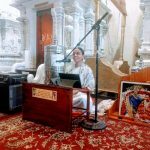 Sri Poornimaji discoursed on subjects pertaining to Ramayana on the two days. 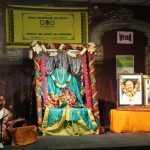 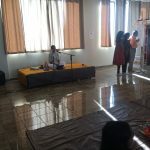 Incidentally, over the weekend, a 24-hour Tulsi Ramayan Parayan was organized by the temple and Sri Poornimaji’s discourse on Lord Hanumanji’s Prabhav coinciding with the Poorthi of the Ramayan Parayan was quite apt. 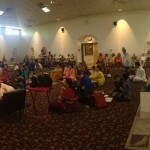 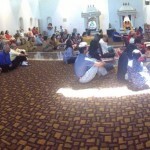 Devotees were engrossed in listening to Hanumanji’s Prabhav with utmost Bhakti. 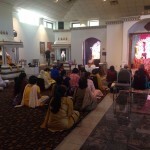 A few devotee-families from Atlanta also accompanied Sri Poornimaji to Alabama. 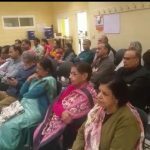 GOD expresses its gratitude to Shri Vishwa Rao and Dr. Yogi Vaid of the Birmingham Temple in organizing and facilitating the discourses in the temple premises.